to your upper body are Push-ups and Pull-ups! The problem is Most people Can't do Pull-ups. They help you off-load your body weight so you can train your back and biceps!!! Because You Can’t do Pull-ups! ….the other half of your upper body! 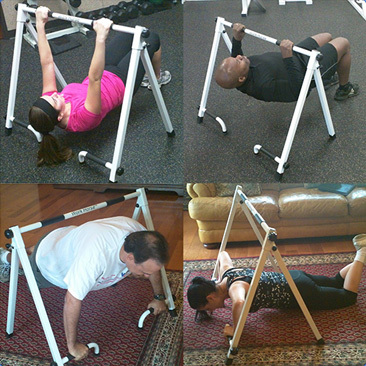 Pull-up bars are great…if you can use them! Here’s just a few snippets of what our customers feel after using my Work Horse. 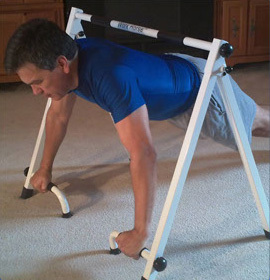 We will definitely be incorporating the WorkHorse and use it in our Life Live in Yoga Pants Workouts! It's simple and effective in building upper body strength. 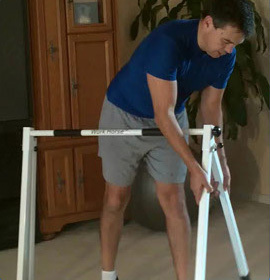 It's sturdy, well built, incredibly easy to assembly and No Tools Required. 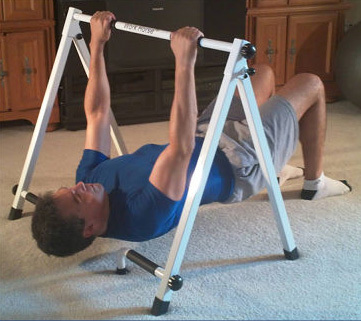 Plus, it's Portable, so you can workout your back and biceps anywhere...which is hard for any home workout. 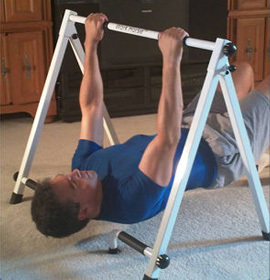 I have discovered an awesome at-home piece of workout equipment to help you show your upper body some much needed love! 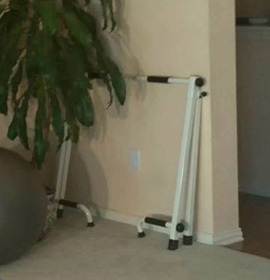 It's a go-to workout staple for me and my husband in our 'home-gym. Too many people suffer from unexplained upper back and neck pain due muscle imbalance caused by tight pec's from hours of their shoulders pulled forward working on a smartphone, laptop, computer, etc - that they rarely contract those opposing upper back muscles. The pulling movement with My WorkHorse targets those upper back muscles and restores muscle balance to help reduce upper back pain. 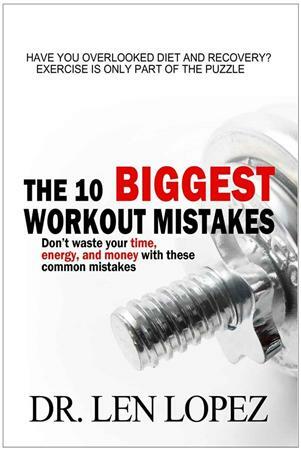 ORDER YOUR WORK HORSE TODAY AND RECEIVE THIS E-BOOK FOR FREE!